We are one of the leading manufacturers and exporters of a comprehensive range of Structural Fabrication, which is manufactured using finest raw material. The material used is sourced from reliable companies that ensure unmatched quality, performance and long service life. Our range of products is playing an active role in diverse industries. Our experts made them available in various standards and customized specifications to cater the demands of clients, These products are offered at most affordable rates. Marine Aluminium was the first, and is by far the most experienced manufacturer of aluminium gangways. MA’s telescopic gangways are a very important safety feature, and are used mainly for personnel access between offshore installations but also for transfer lines for fuel, mud, electricity and water. They are designed to automatically lift and retract in case the movement of the installations is too great, making safety a key feature. 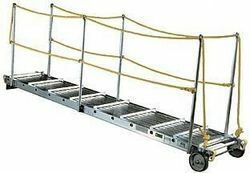 The gangways can be used to bridge between fixed and floating installations and also between two floating installations. Rather than carry dust-laden air to a central dust collector, the MARTIN® Insertable Dust Collector System by Torit® PowerCore® filters the air inside the transfer point. The MARTIN® Insertable Dust Collector can effectively handle the heavy concentration of dust and high volumes of air arising at belt conveyor transfer points. Small size of improved filters allows effective collection with less air movement and smaller fan, reducing energy costs. Small unit size allows use of Insertable Collector in areas where space limitations complicates installation of other collection systems. Reverse pulse cleans filters; replacement of compact filter elements is a one-hand, no-tool procedure performed from the clean side of the collector. insertable dust collectors will eliminate many of the problems with central “baghouse” collection systems, including long ducting runs, large enclosures, high power consumption, and difficult maintenance. These Insertable Collectors with compact filter technology are suitable for use with non-explosive materials in non-hazardous locations. 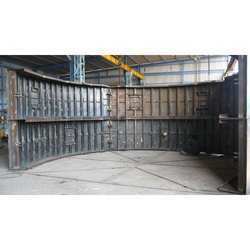 We stand as one of the leading manufacturer and suppliers of Shuttering Works, manufactured from superior quality of raw materials at our own work shop. Some of the attributes of these shutters are durability, robust, water and chemical resistance. Used in various applications such as tunnels under the bridge/water ways and Railway Bridge, these are made by latest technology and methodology. Before erection at site, these are fabricated and erected at our work shop to avoid any malfunction at final site. We have ventured into providing highest quality M.S. Fabrication Works. Supremely experienced technicians use only the finest quality raw materials along with sophisticated machines to carry out these works in our own latest technology laden workshop. 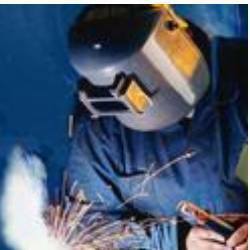 Special attention is given to customer specifications and set time frame to provide customers with quality and timely delivery of perfect fabrication.